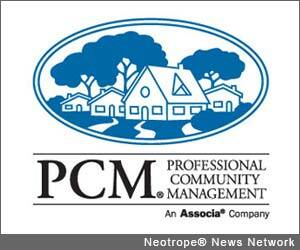 TEMECULA, Calif. /California Newswire/ — Professional Community Management of California, Inc. (PCM) chief executive officer Donny Disbro addressed community association professionals on Friday on the benefits and pitfalls of mediation as an alternative to costly litigation. As part of an expert panel discussion at Community Association Institute's annual Legal Forum, Disbro offered first-hand insights on how association boards can best manage and resolve disputes between HOAs and management companies. "There's no question that mediation is far superior to litigation in resolving disputes between associations and residents," explained Disbro. "Mediation saves substantial time and resources, and mitigates the tremendous emotional costs that can take their toll due to the uncertainties of litigation." Indeed, 95 percent of cases that involve mediation are settled before trial. But Disbro cautioned that there are several critical items a board must consider prior to engaging in mediation. "A mediator's job is not to determine a 'winner' and a 'loser' but instead bring the two parties together," said Disbro. "Because of this, there must be Board consensus going in as to what they are and are not willing to give up as part of a negotiated settlement, and what is the minimum they must gain in order to qualify it a success." Additional considerations Disbro suggested: "Association boards must be clear as to who is empowered to represent them at the bargaining table, and have absolute confidence that that person understands and can effectively execute the will of the Board throughout the mediation process." Other recommendations included ensuring that the mediator understands all facts of the case as well as the history of dispute not only between the parties but on similar issues within the community. "Never assume," Disbro stressed regarding a mediator's understanding of details in a dispute. CAI Legal Forum: California Communities is a special, one-day event hosted by the Community Associations Institute addressing key legal topics affecting California's community managers and homeowners. The two-track event – one community managers and another for homeowners includes expert panel discussions featuring government officials, seasoned management professionals and legal experts specializing in community association industry. With headquarters in Lake Forest, Calif., PCM and its companies employ a staff of more than 1,500 people. PCM has offices in serving all of Southern California and Southern Nevada and is recognized by the Multi Housing Council as one of the county's largest managers of common interest developments. Management services by PCM are backed by state-of-the art Internet technology and comprehensive financial and management systems. For additional information, please contact PCM at 800.369.7260 or at http://www.pcminternet.com/ . Building successful communities for more than 30 years, Associa is North America's largest community association management firm and serves its clients with local knowledge, national resources and comprehensive expertise. Based in Dallas, Associa and its 8,000 employees operate more than 150 branch offices in the United States, Mexico and Canada. To learn more about Associa and its charitable organization, Associa Cares, go to www.associaonline.com and www.associacares.com. Find us on Facebook ( http://www.facebook.com/associa ), follow us on Twitter ( http://twitter.com/associa ), LinkedIn ( http://www.linkedin.com/company/33264 ) and Pinterest ( http://pinterest.com/associa/ ), and watch us on YouTube ( http://www.youtube.com/associamarketing ). With more than 31,000 members, CAI works in partnership with 60 chapters, including a chapter in South Africa, as well as with housing leaders in a number of other countries, including Australia, Canada, the United Arab Emirates and the United Kingdom. Professional Community Management of California, Inc.